I have begun another adventure. 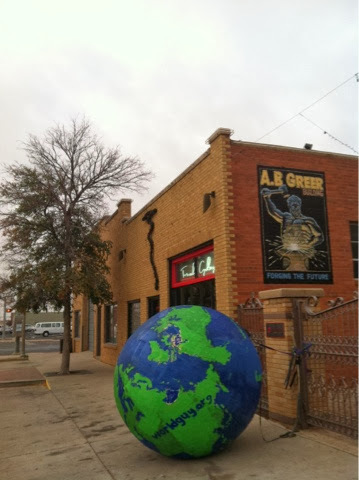 After we arrived in Lubbock I stopped depending on the Global-Positioning-System, turned off the cruise-control and headed for the tall buildings. The skyscrapers of Lubbock were the first I had seen since I passed through downtown Hots Springs, Arkansas. 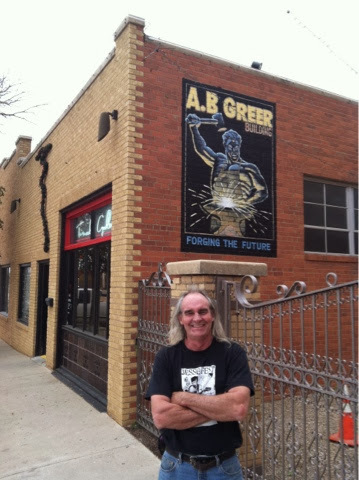 Once off the expressway, I randomly turned onto a side-street in the heart of Lubbock where the streets are still paved with the bricks of its original glory days. I was looking for an art gallery, or at least an old novelties store. If there were such a thing in Lubbock it would surely be found there. 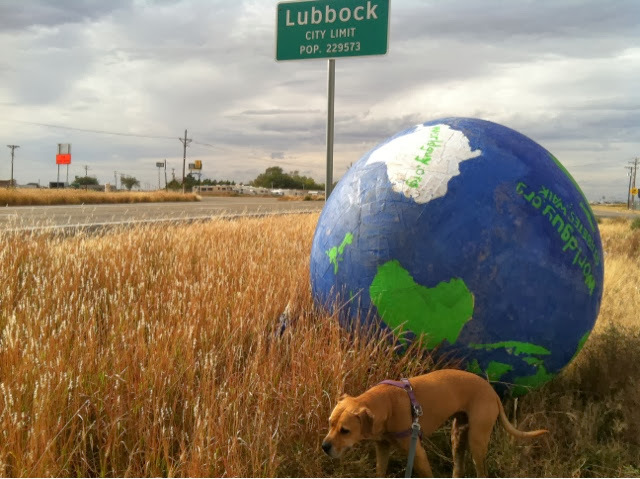 I had not finished the repair of the world and rather than repainted the blankets of patches in the Walmart parking lot at the edge of town, I was going to find the heart of artistic Lubbock to ask for help. After a tour of what seemed all the the brick roads of downtown I found the novelty store. The woman inside, led me to the art gallery next door. The woman at the art gallery directed me to the metal art gallery on the corner. It was the same corner where I originally turned onto the red paved road. When I pulled in the lot across the street the man and wife team were standing at the door. I thought the woman at the gallery had told them I was coming. As I walked up they where all smiles. I explained my need for a space to finalize my reconstruction of the world. They offered their gated courtyard. 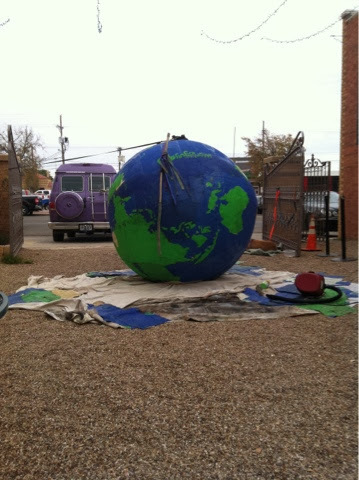 I was able to finish a few patches and spend the day painting the world. Locked in the courtyard the world had all night to dry in the warm Texas night. With overcast skies there was no dew, perfect for the world's coat to harden. In the morning I left as the downtown was waking up. I used my phone GPS to map my way out of town. It led me by the courthouse and police station so I stopped to let them know What I was doing and to get a business card as a momento'. That is where I got turned around. After and hour of walking left and right through deserted brick streets in the direction I thought was correct I, again, found myself back at the Tornado Gallery. I had left before the proprietor had arrived. I took it as a a sign to say goodbye and use a human being for my direction. The man at the corner gallery made it simple. I walked out the main "drag", made one turn, and then one more to lead me out if town.